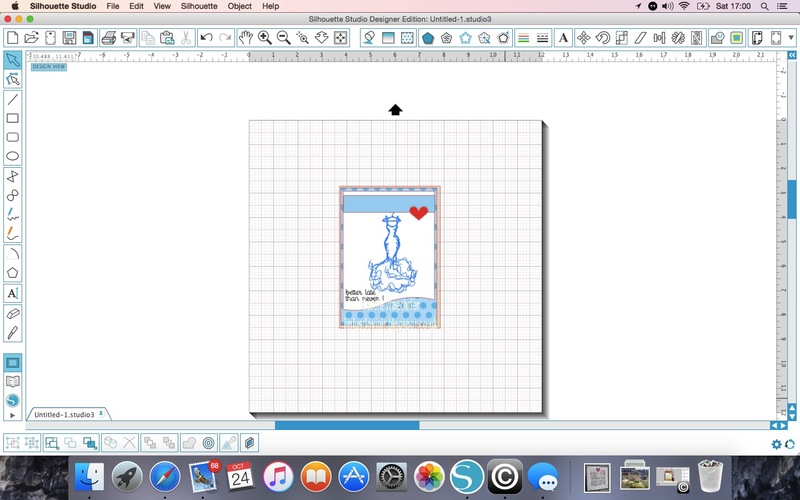 Silhouette Studio lessons on a Mac. I'm back with a card I've made for a friend. I missed her birthday recently....whoops! I had great fun again, designing this card in Silhouette Studio. I've been designing some of my cards on my Windows laptop and some on my MacBook Air, trying to see which I prefer. 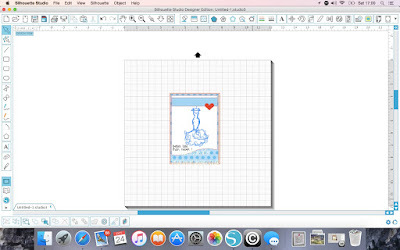 Here is a screen shot of the card, once it was designed and before I separated it all to cut and draw it, on my Silhouette Cameo. I've definitely decided I like my Mac best. My mate Peg, has a Mac and today we realised that we could screen share with each other, helping each other out. I can help her with Silhouette and she can help me out on my Mac.....win win! 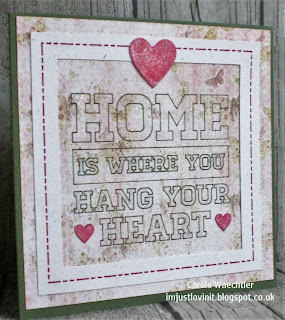 This is why I had so much fun designing the card - Peg was watching me, so really, we made it together! This of course, has opened up a whole new idea, I could now perhaps, do remote training on the Silhouette software, for ladies wanting to gain confidence using the Silhouette software on their Mac's! Not sure how this would work, but it's definitely worth a thought. Ladies currently travel quite some way for me to train them on their Windows pc's, so for ladies who have Mac's I could, in theory, train anyone from anywhere! My contact details are over in my sidebar, if you are interested, let me know ;)! Happy crafting with your Silhouette. Apologies for the huge gap between posts, it's been a busy time here and this is the first card I've made in about 5 weeks! 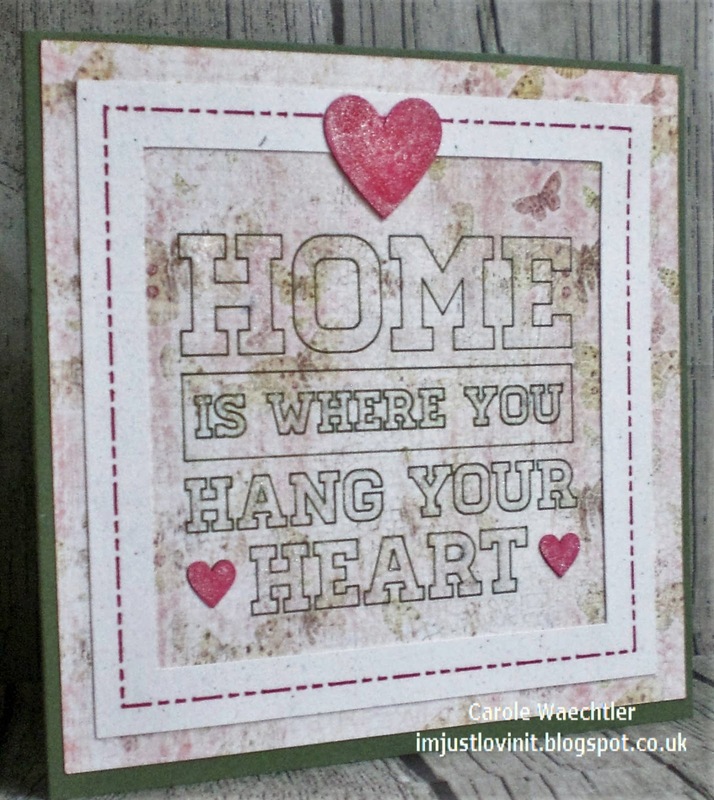 Sometimes other stuff has to come first, although, I have to say, it's nice to be back crafting :)! 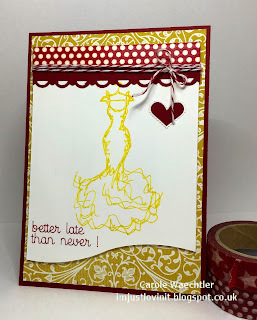 It was easily made using the Silhouette Studio software, my Silhouette Cameo, some pretty paper and a couple of pens! I also highlighted some of the bits with one of my Wink of Stella sparkle pens. I've got so many cards to catch up on, so bye for now, have a great weekend. 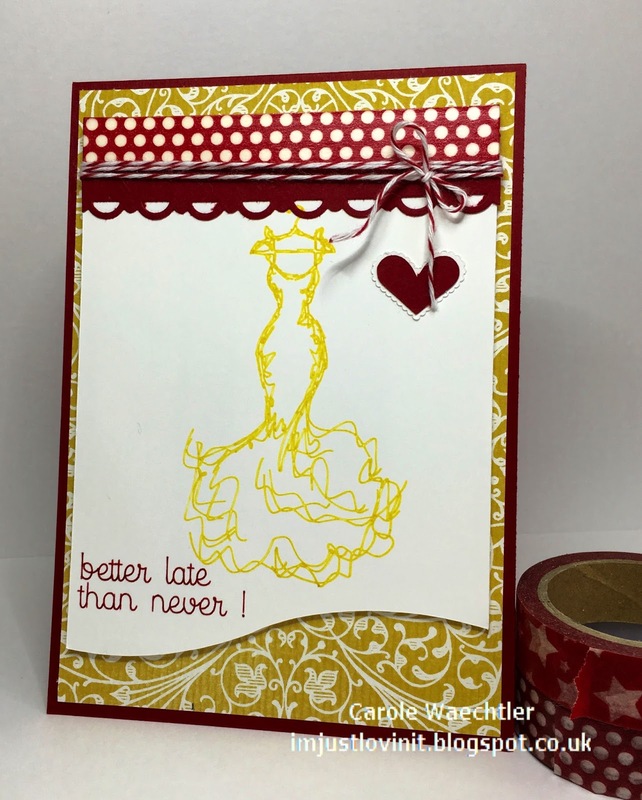 Hope you get some time to craft with your Silhouette soon.